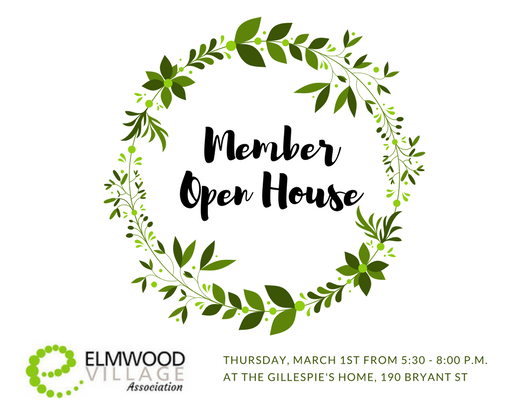 We are delighted to invite you to join the EVA Board of Directors, active committee members and volunteers for our 2018 Member Open House! The event will be held at John & Catherine Gillespie’s home at 190 Bryant St. on Thursday, March 1st from 5:30 – 8:00 p.m. This event is free for members – our way of saying “Thank you!” for your support of our community programs. 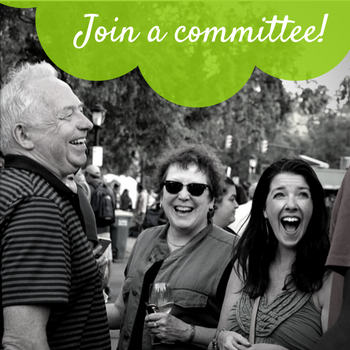 A current individual membership ($50) admits 1; A current household membership or business membership ($100+) admits 2! The event is set-up as an open house so you may come and go at your convenience, though we will make some announcements and have a short presentation at 6:30 p.m.
Expect light hors d’oeuvres along with beer and wine tastings. 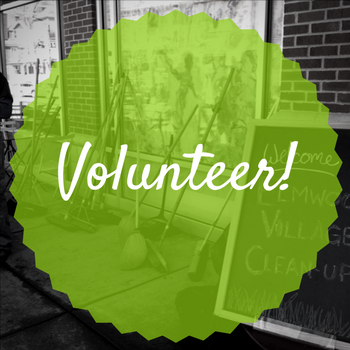 Please e-mail Ashley@elmwoodvillage.org to RSVP.